I have fallen into a bit of a fitness rut. I have been traveling non-stop, and the truth is, hotel gym workouts are great for short term maintenance, but they aren’t great for a long term situation. At home I walk everywhere (weather permitting),weight train, run, and take several cycling and conditioning classes each week to round out my repertoire of exercise. The boredom, and lack of facilities were taking a toll on my body and my mind. I started noticing a small fitness studio that just opened somewhere between my hotel and office in Quincy, Massachusetts. 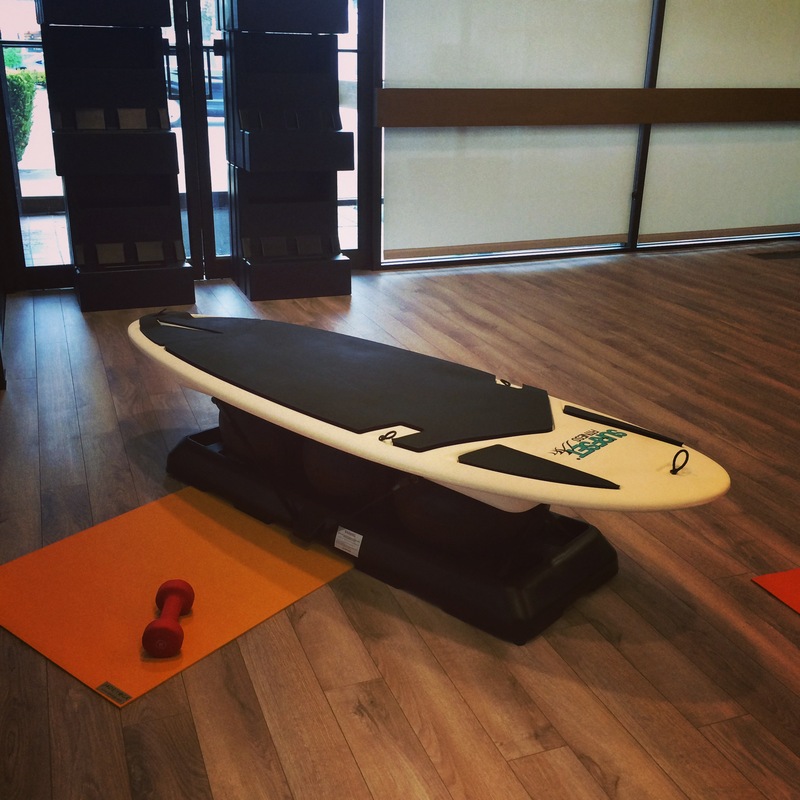 When I went on line to book a spin class, none were available, but something new and innovative caught my eye: Surfset. Surfset is an indoor surfing class, that uses an unstable surfboard-like apparatus mounted on 3 inflated balls to simulate the real deal. Best of all, I didn’t even need to get wet. I couldn’t wait to try it! With a mix of excitement and trepidation, I showed up for my first introductory class. The first few minutes on the board were a little shaky, as I tried to get my bearings and stabilize the board. Thighs shaking, toes cramping, and arms out for balance, I quickly found my center of gravity. Once I got the hang of it, we performed a series of exercises on the board, including planks, squats, step ups or jump ups, burpees, pushups and crunches. Some moves actually simulated swimming and paddling. Only the lunges got the better of me, but the second set proved easier than the first. I am happy to report that I did not fall off the board, or do anything that incited uncontrollable snickers from my fellow surfers. Surfset challenges your thighs and core, as they work extra hard to stabilize your body and the board during the workout. Pushups, when done on a wobbly surface add an extra edge to the movement. While only one exercise incorporated weights, and I hope once people get comfortable on the board, the studio will ramp it up a bit, including more weighted and compound movements. Living in a neighborhood of boutique fitness studios focusing on everything from cycling, pilates, barre, bootcamp, rowing or yoga, everyone is looking for a niche. Surfset could be the big next big to come our way. 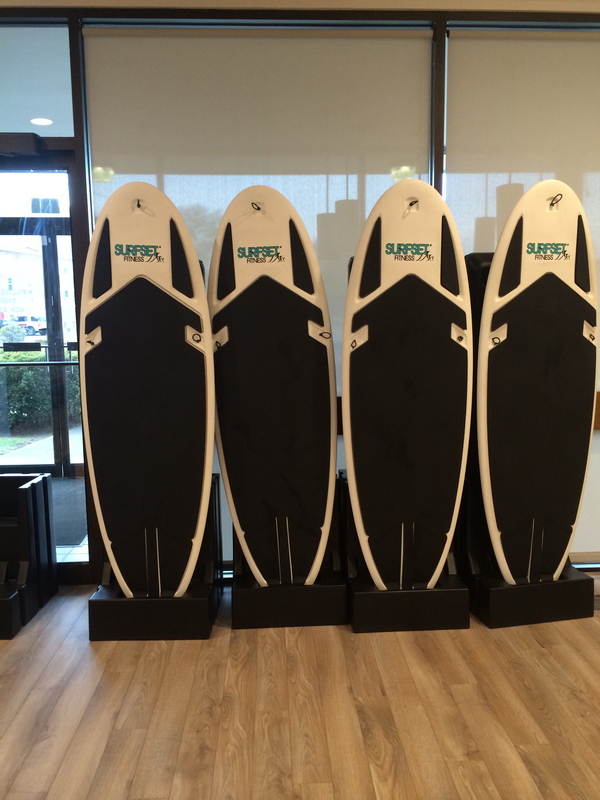 Soul Surf anyone? This entry was posted on May 12, 2014 at 6:48 am and is filed under fitness. You can follow any responses to this entry through the RSS 2.0 feed. You can leave a response, or trackback from your own site.